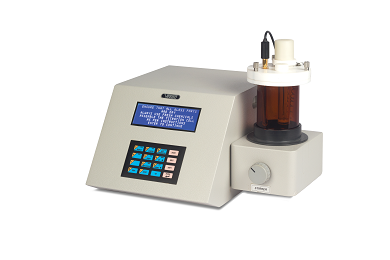 Karl Fischer Titrator is used for Accurate Moisture Estimation in various samples. The Karl Fischer method is used for many substances as a reference method. It is a chemical analysis procedure which is based on the oxidation of sulfur dioxide by iodine in alcoholic solution. The titration can be performed Volumetrically or Coulometrically. In the Volumetric Method, Karl Fischer solution containing iodine is added until the first trace of excess iodine is present. The volume of K. F. Reagent is proportional to the water content in the sample. It is necessary to standardize the Karl Fischer Reagent using known water standards such as Distilled Water or Sodium Tartrate Dihydrate (DST). 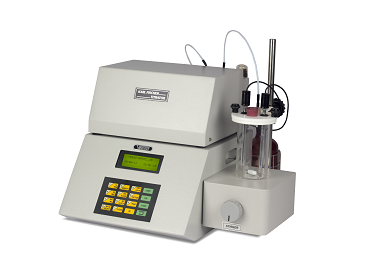 Volumetric Titrator is used for higher water contents such as 100 PPM and above using appropriate sample quantity. For higher water contents, less sample quantity is necessary and proportionately higher sample quantity is required for low water contents. In the Coulometric Method, the iodine required in the reaction is generated in the titration cell by electrochemical oxidation of iodide until again a trace of un-reacted iodine is detected. Using Faraday's law, the amount of iodine generated to neutralize the water content is calculated from the quantity of electricity required. The Coulometric Titrator is used for trace analysis of water content. This model is recommended for Transformer/Insulating Oils containing water less than 100 PPM. Transformer / Insulating Oil users and manufacturers. Capacitor / PXE oil users and manufacturers. Lubricating / Hydraulic oil users and manufacturers. Estimation of moisture from Aviation Fuel. Oil filtration plant manufacturers and service providers. Microcontroller Based Titrator suitable for accurate estimation of moisture. 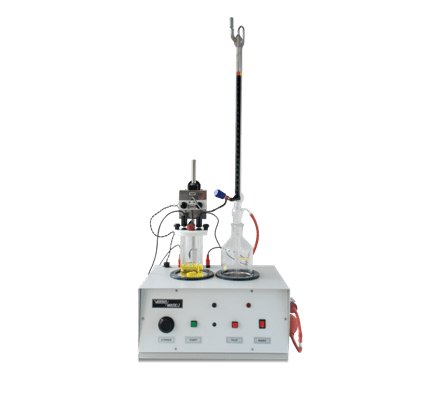 Valve-less dispenser eliminates the need of cumbersome piston burette. Supports both Water and DST method for Factor determination. Water content measuring range: 50 PPM to 100% with appropriate sample quantity. RS 232 Interface for PC to download the data. Graphical representation in different formats. Statistical calculations such as Average, SD, RSD. Water content measuring range: 100 PPM to 100% with appropriate sample quantity. PC interface to store Test Result. 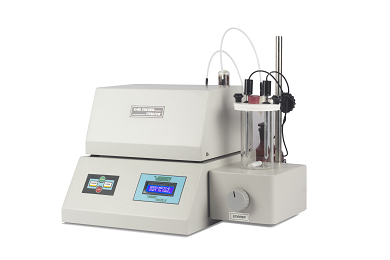 Digital Automatic Titrator suitable for accurate estimation of moisture. 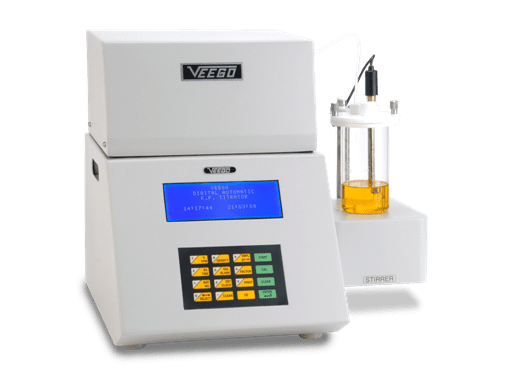 Non-Digital Titrator suitable for estimation of moisture. Range: 0.1 % to 100 % with appropriate Sample Quantity. Amount of electrolytic current produced is used to measure the water content. Microcontroller Based Digital Automatic Titrator to estimate traces of moisture. Range: 1 PPM to 100 % with appropriate sample quantity.